Remembering the Advanced Databases classes taken at my alma mater University in Iaşi, I find that prof. Victor Felea's focus on Oracle-only solutions was a rather limiting one. It was thanks to prof. Sabin Buraga's passion for Web Technologies that many of my colleagues and I were exposed to alternatives, all the way to NoSQL. Still, most of the extensive Database courses revolve around only one specific DBMS. You guessed that right: that ends up being the main skill of the graduate that wants to tackle enterprise level DBs. But when taking on a DB-centered career path, he/she needs a better understanding of the bigger picture; and this is when advices from his/her more experienced peers are most valuable. Asking a senior colleague what is his suggestion for an aspiring professional, he recommended a toolbox of skills that spread well beyond a single DBMS. How is this an obvious advantage, you ask? yes, the head of the database team will most likely earn more than a DBA in the team who is only knowledgeable about a single DBMS! working in a heterogeneous environment and looking to expand their DBMS knowledge and career prospects. Edit: Since the (limited) number of places is filling up fast, I recommend that you register now! Edit Mar 14th: With almost 2 weeks left till the live event, it is already sold out and no additional registrations are being accepted at this time. 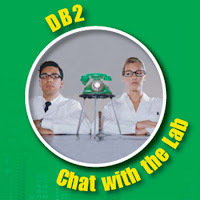 Thanks for this comparisons on ORACLE and DB2. Points taken from both platforms. Thanks for this slide share widget for installation. This is very useful for all enterprise levels.